Jane Fonda, brother Peter and husband Roger Vadim at Lido airport, Venice 1967 (Photo by Archivio Cameraphoto Epoche / © Carlo Pescatori). Jane Fonda, brother Peter Fonda and husband Roger Vadim leave Venice's airport on a water taxi, Venice 1967 (Photo by Archivio Cameraphoto Epoche / © Carlo Pescatori). Jane Fonda with brother Peter Fonda and husband Roger Vadim on a water taxi in the Venice lagoon, 1967 (Photo by Archivio Cameraphoto Epoche / © Carlo Pescatori). Jane Fonda with brother Peter and husband Roger Vadim on a water taxi in the Venice lagoon, 1967 (Photo by Archivio Cameraphoto Epoche / © Carlo Pescatori). 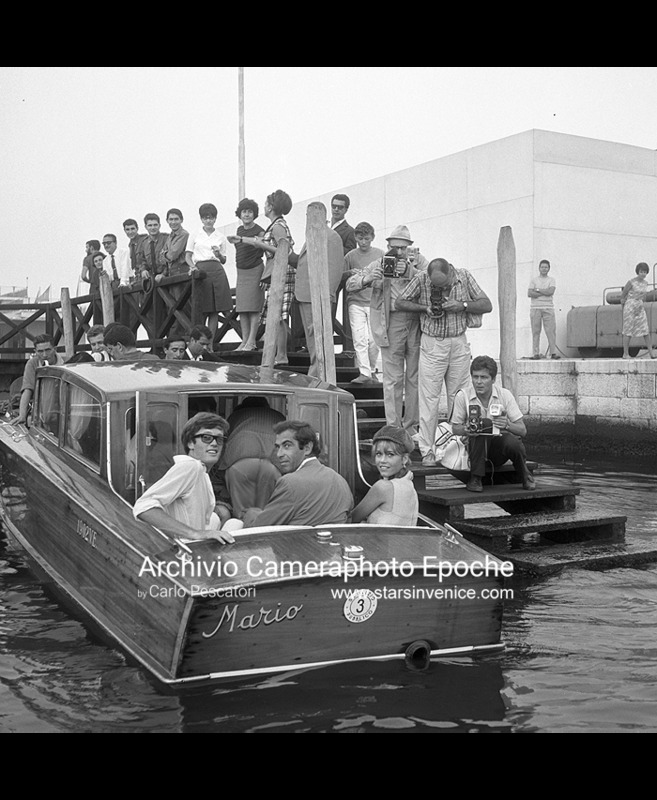 Jane Fonda, brother Peter and husband Roger Vadim step out their taxiboat near Rialto bridge, Venice 1967 (Photo by Archivio Cameraphoto Epoche / © Carlo Pescatori). 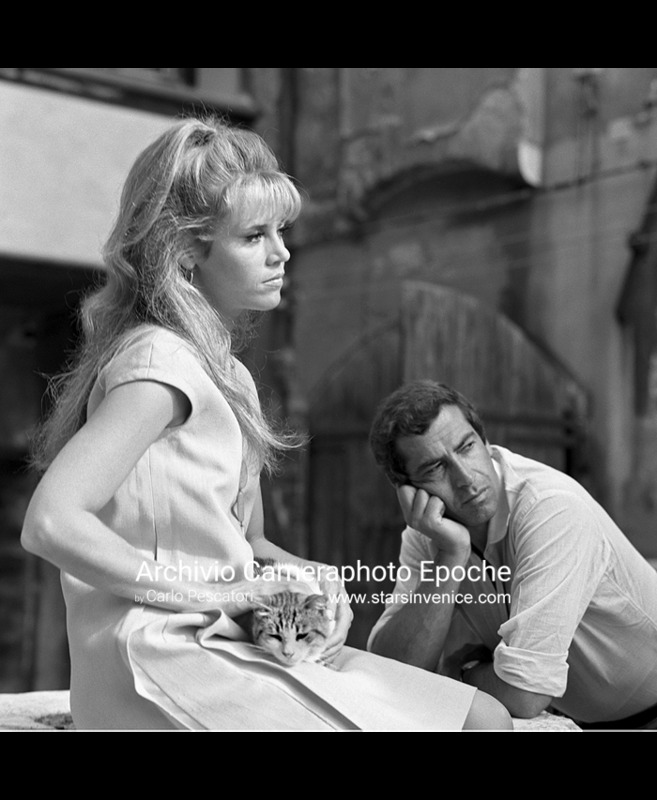 Jane Fonda and Roger Vadim in Campiello del Remer, Venice 1967 (Photo by Archivio Cameraphoto Epoche / © Carlo Pescatori). Jane Fonda sits on a well cuddling a cat, Venice, 1967 (Photo by Archivio Cameraphoto Epoche / © Carlo Pescatori). Jane Fonda sits on a well caressing a cat, Venice 1967 (Photo by Archivio Cameraphoto Epoche / © Carlo Pescatori). Jane Fonda, Venice, 1967 (Photo by Archivio Cameraphoto Epoche / © Carlo Pescatori). Jane Fonda, Venice Lido 1967 (Photo by Archivio Cameraphoto Epoche / © Carlo Pescatori). Jane Fonda during a shooting session, Venice Lido 1967 (Photo by Archivio Cameraphoto Epoche / © Carlo Pescatori). 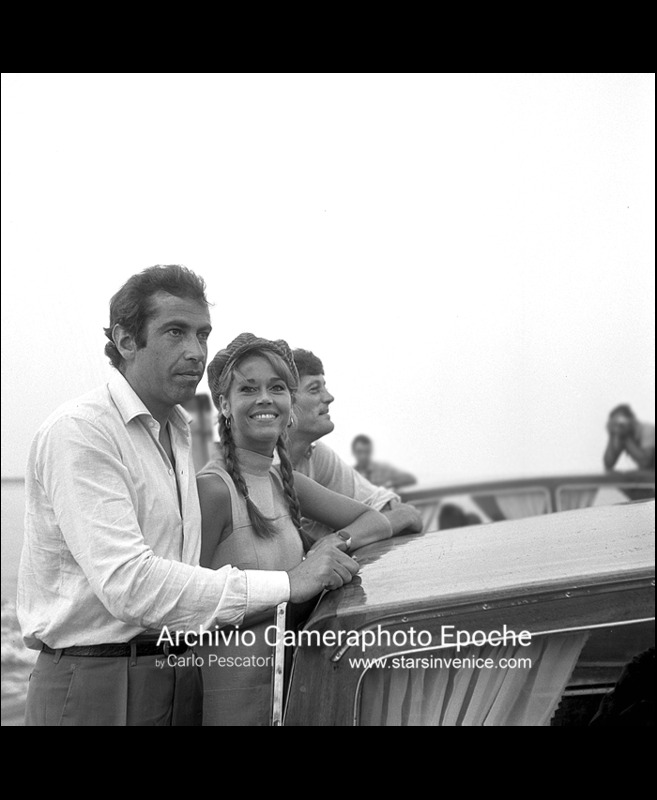 Jane Fonda and Roger Vadim, Venice Lido 1967 (Photo by Archivio Cameraphoto Epoche / © Carlo Pescatori). Jane Fonda in Venice Lido, 1967 (Photo by Archivio Cameraphoto Epoche / © Carlo Pescatori).